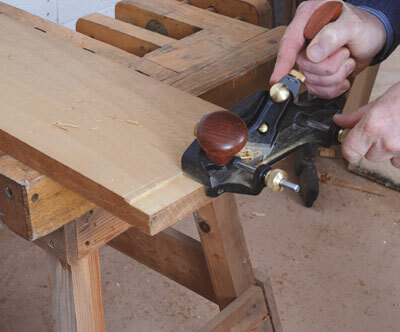 To be honest, most of us head for the router table when we want to cut a rebate (rabbet for our American readers). It is usually easier, quicker and for those lacking developed hand skills, more accurate and, quite frankly, more satisfying. 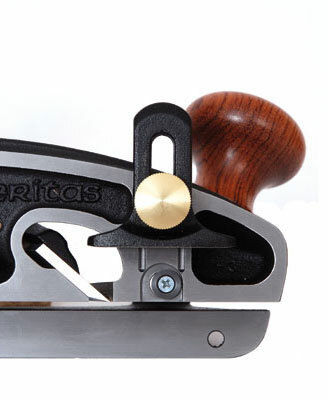 These Veritas planes - marketed as rabbets - offer: 30 degree angled blade to reduce cut resistance, vertical and horizontal fence adjustment, built-in scoring spur, double guide rods with locks, tool-less adjustment, maximum rebate width of 1 1/2in, large hardwood handles, availablity in left- and right-handed versions, and a really good instruction booklet! 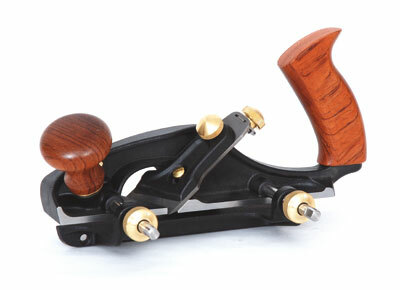 Superbly made in ductile cast iron, the quality of these planes is unquestionable. They are useable straight from the box, but I suspect that most of us would polish and sharpen the iron to perfection before use. I had little difficulty orienting myself on the plane, simply loosening the brass nuts to set the rebate width and tightening them to lock finger-tight with no need for force. Depth of cut is easily and accurately set by sighting along the sole. The depth stop, which conceals the circular scoring blade, is precisely set thanks to machined grooves that always ensure a 90 degree setting. A deliberately chosen piece of reverse-grained iroko was the test piece. The Veritas performed beautifully, producing a rebate to be proud of in end- and long-grain directions. The scoring wheel, when set, works to perfection. Key to the fine shavings that emerge is the 30 degree angle on the blade that starts the cut fine, so reducing resistance and maintaining accuracy and depth. So what's not to like? Possibly only the price. It is accurate, easy to set - quicker than a router - works incredibly well and will last several lifetimes. The quality of the tool will make possible and even enhance fine craftsmanship. It may strike some as old-fashioned to be looking at tools like this, but they make for a refined, less noisy and less dusty workshop. "So what is not to like? Possibly only the price"